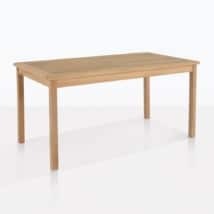 A solid dining experience is a guarantee with this beautiful 39.5” square table. 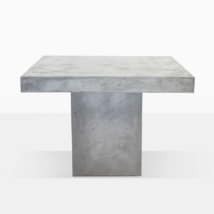 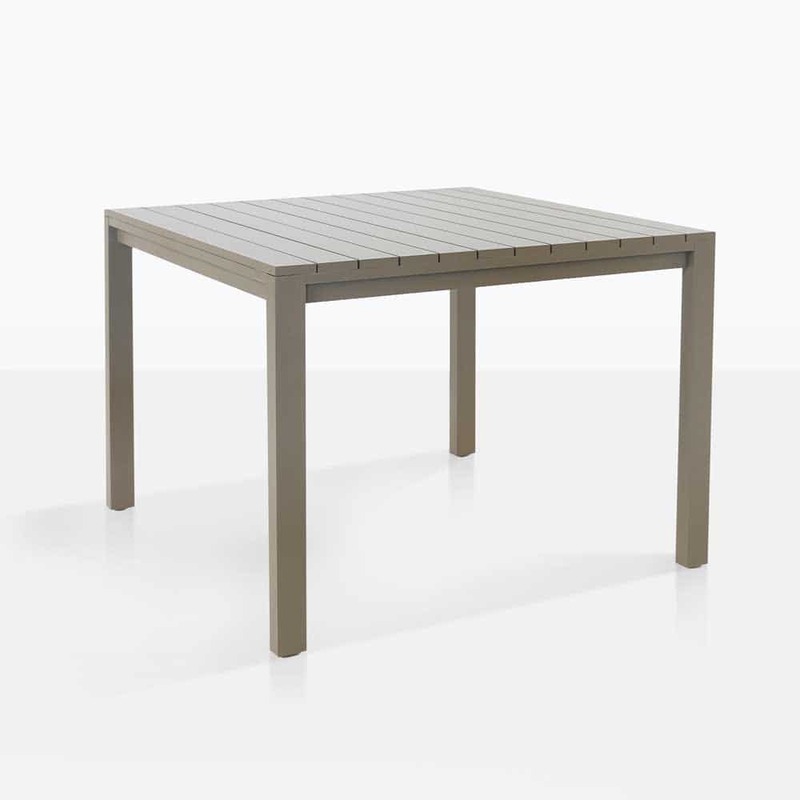 Perfect for 4 people, this outdoor dining table is made with a truly beautiful and simple style that uses powder-coated Aluminum throughout the entire table. 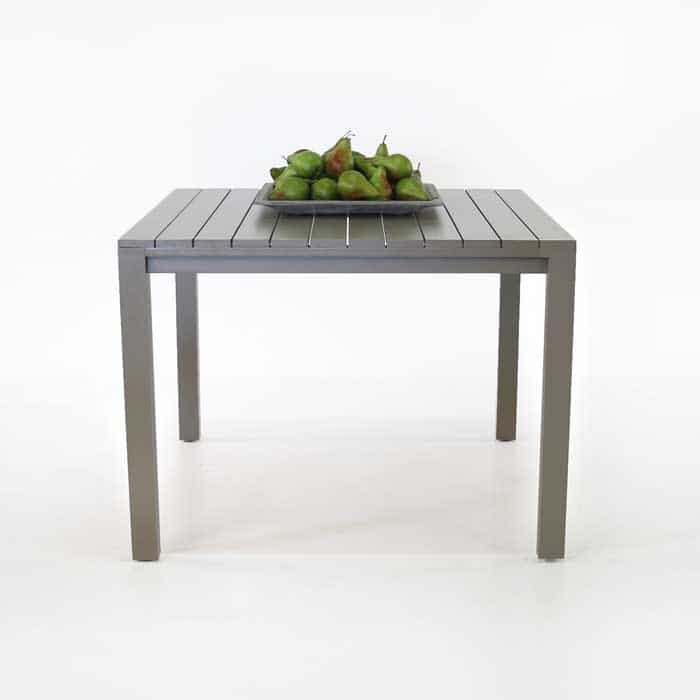 The legs and the tabletop are both made from stunning powder-coated aluminum “planks” which offer a unique look, incredible outdoor versatility and durability, and a light overall weight. The neutral grey tone works extremely well with A-Grade teak and offers a perfect color complement. 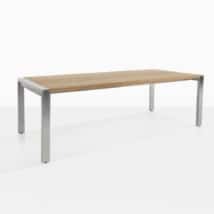 W39.4" x L39.4" x H29.5"